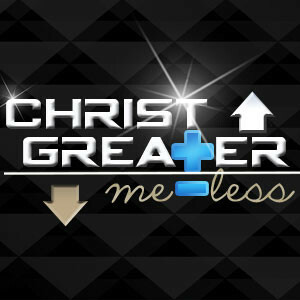 “He (Christ) must become greater and greater and I must become less and less.” (John 3:30 NLT). The above words were spoken by John the Baptist of which Jesus said of him; “I tell you the truth, of all who have ever lived, none is greater than John the Baptist. Yet even the least person in the Kingdom of Heaven is greater than he is!” (Matthew 11:11 – NLT). So lets understand this: John the Baptist, who Jesus said that of all the people who have ever lived, there is none “greater,” makes the declaration that Christ must become greater and greater and that he must become less and less. John understood who Christ was and who he was. One of the most difficult sins and attitudes to fight against is pride and selfishness. The reason; because everyone wants to be liked, they want to feel like they are successful and that they have accomplished much in their life. So it’s natural for people to think well of themselves. But here’s the problem, there is a danger in this attitude. Carried too far, we begin to put the focus on ourselves and what we have accomplished and what we can do and we leave Christ in the background of our lives. He becomes more of an afterthought and backdrop and we become more the focus and attention. And instead of Christ becoming greater and me becoming less, the unexpected and tragic result is that I become greater and Christ becomes less. And that happens not only in our own mind and thinking, but we try to make it happen in the thoughts of others as well. If there is ever a conflict as to who the attention should be drawn to; whether Christ or me, Christ must always win out! Christ must become greater and greater and I must become less and less. He recognized Who Christ was and where Christ came from. When John’s disciples got jealous about Jesus and His disciples baptizing people and “everyone going to him.” John assured them that “a man can receive only what is given him from heaven” (John 1:26-27). John knew who Christ was and where He came from. He knew who he was. He knew he was just the “voice of one calling in the desert, ‘Make straight the way for the Lord. '” (John 1:23). This is the epitome of humility…knowing who God is and who you are in relation to Him. He wasn’t jealous or envious. How easy it would have been for John to be jealous and envious of Christ. He could have listened to his disciples and allowed them to influence him to be upset that people were leaving his ministry and going to Christ. But John knew his role and he understood that what he began, Jesus would finish, and what he prepared, Jesus would fulfill. First we have to understand what it means to “increase”. You see, you can’t make Christ any greater than He already is because Jesus is who He is, He is the Son of God, God in the flesh and nothing you do will make Him greater or change that. But you can elevate who He is in your life and what position He has in your life. It is a matter of perspective. As Christ becomes greater and greater in your life, as He becomes more significant and invaluable to you, as He occupies a greater and greater part of your life, you naturally become less and less and your identity becomes aligned with Christ and who He is and what He has done. It becomes less and less about you and more and more about Him! As we grow in Christ, He becomes greater and greater in our life. His rule and reign in my life must increase and become greater. His position in my heart must increase and become greater. His influence in my decisions must increase and become greater. This is what it means for Christ to increase or grow greater and greater! If you become the focus of what you do rather than Christ, then you are headed down the wrong path and as a result, Christ becomes less and you become greater. More interested in the external than the internal more interested in carnal things than spiritual things. And a clue that that’s the case is there is jealousy and envy among you (1 Corinthians 3:3). It’s more about your personal discipline than your spiritual freedom. 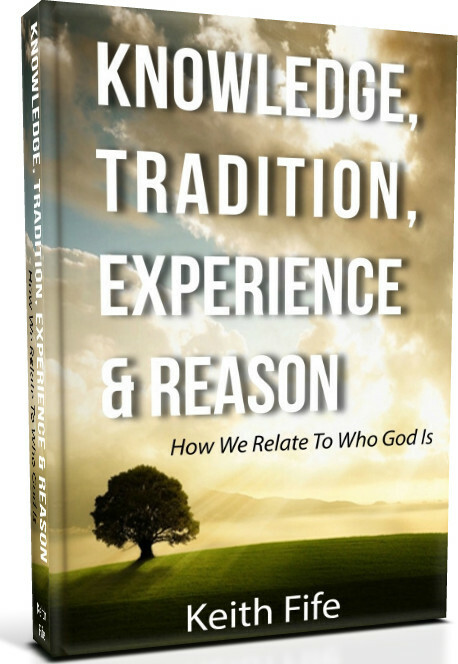 You know you have become the focus when you are “trying to be a better Christian” through your own works. You can’t be a “better Christian.” You are either a Christian or you aren’t. Now you can live a life that is more consistent with Christ’s teachings but that doesn’t make you a better Christian nor does it make you better than someone else. There aren’t degrees of Christianity. You can’t be a black belt Christian. When we become the focus we discover there is jealousy in our heart. We become jealous of other people and what they are doing and we pay attention more to them than we do Christ, and it becomes more of a competition for us. When the focus in on us we speak unkindly of other people; especially of those who we perceive as doing more than we are or who are more successful than we are. Rather than being happy for them, we deride and slander them. In the next post on this topic I will share with you some attitudes that will help us to become less and less. You can also listen to the entire message. Keith, thanks for these great sermons. I especially like how you can say so much in such a short space.